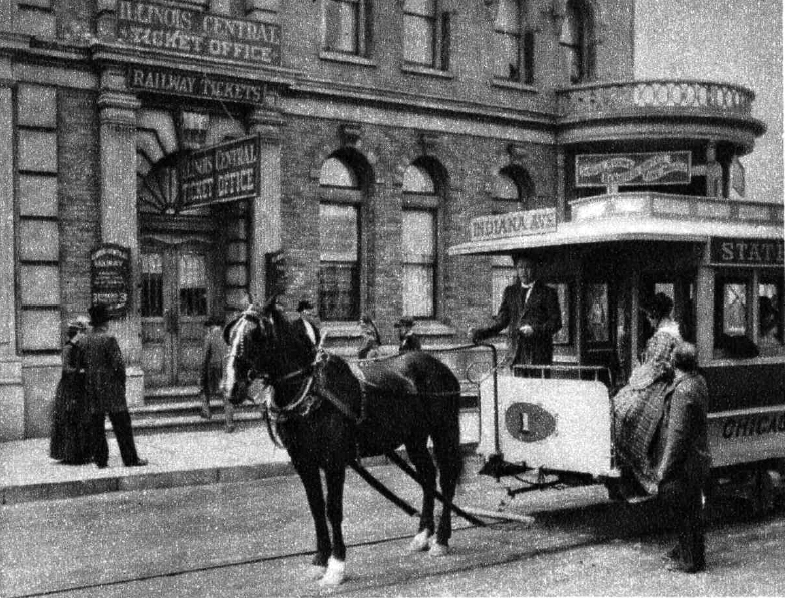 After about 1850 technology moved away from the horse drawn omnibus for transporting passengers in a city to trolleys that rode on rails laid at street level. 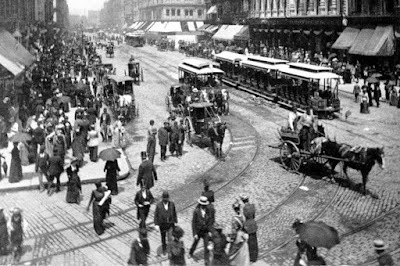 It was an improvement for patrons who paid cheaper fares for faster and more dependable transportation around town. It was still an burden for the horses. Particularly hard on a horse’s vulnerable legs was pulling the dead weight of the loaded trolley from a standing start, something that happened over and over again as it plied the route. 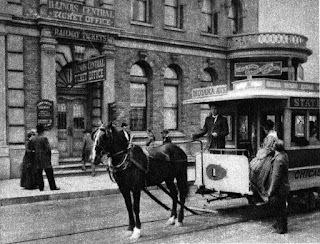 Horses could generally work no more than five hours without being totally exhausted, and they were usually kept on the transit routes no more than five years before they were sold or put down. There were times when the price of horseflesh brought more for a carcass than one being sold after retirement from the transit lines. No insurance was paid to an owner who destroyed his own animal, so many horses were worked until they dropped dead in the streets. Rendering companies bid on the rights to pick up dead animals, guaranteeing their service within a few hours of the death of the horse. Consider this account from Chicago, carried in The Chicago Daily Tribune on this date, December 20, in 1871. When it came to the end of the line, there were 22 cars piled up behind the poor horse and the car it was pulling. 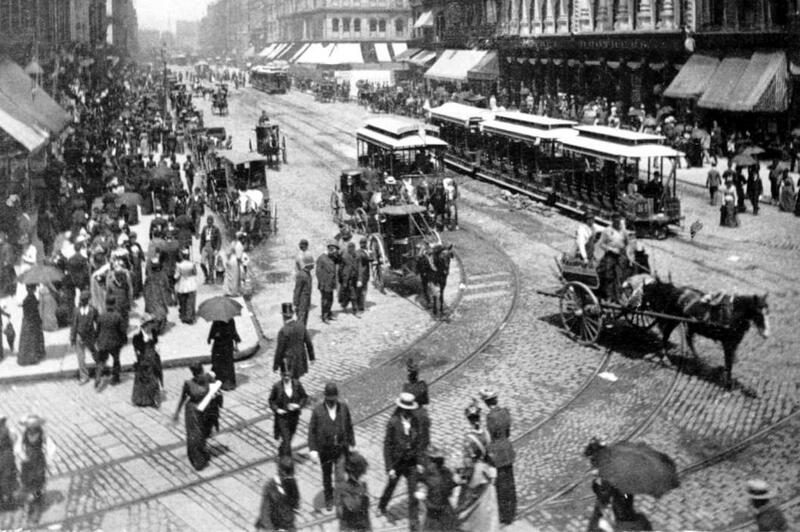 Scenes like this were commonplace in the wild days of growth just before and after the fire of 1871. Next time I am out in the cold, waiting on the 151 and see two of them pull up to the stop, one after the other, I’ll swipe my fare card, thinking of that poor exhausted nag, pulling its heavy load of citizens through the Chicago snow.